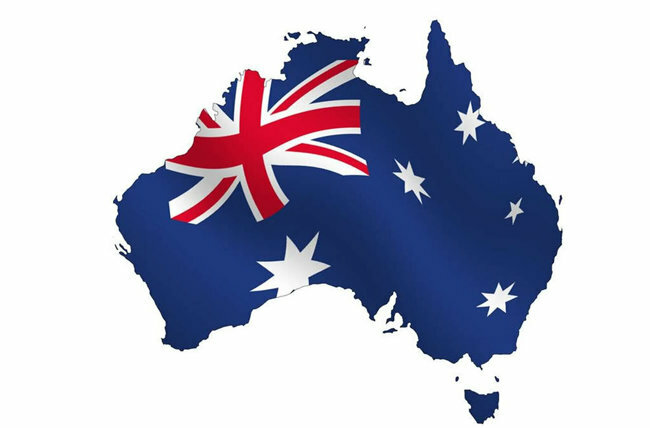 An Australian company has developed a new model for litigation financing that could be especially attractive to small and medium-sized businesses. Under this model, funders, attorneys, and litigants make structured contributions to litigation costs and benefit from a similarly structured allocation of any recovery. Through this method of risk spreading, litigating valuable claims becomes a more reasonable proposition for everyone involved. 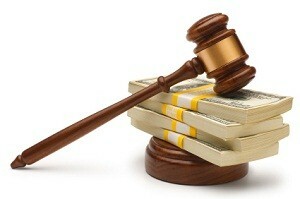 The objective of the model is to create more cost certainty in business litigation. According to the model, for any particular litigation matter, the litigant would pay a monthly fixed amount towards costs, up to a cap that is agreed upon in advance. The litigation funder would contribute in the same way. If costs exceed the amount the client and funder have contributed, the attorneys agree to fund the rest on a contingency fee basis. If the case wins, the lawyers are then entitled to a 25 per cent bonus, which is calculated on the portion of the recovery that exceeds the amount contributed by the litigant and the funder. This arrangement gives attorneys a “skin in the game,” which is a benefit for both litigants and funders because it creates incentives to keep attorneys’ fees and other costs down. In Harris’ model, attorneys do not benefit by simply running costs up as high as possible. Thus, the model allows the business litigant to both reduce litigation risk and reduce litigation costs, decreasing their downside risk and increasing their upside potential. This entry was posted in Litigation Finance and tagged commercial litigation, legal reform, litigation costs, Litigation Finance, small business, third-party funding on October 18, 2017 by TownCenter Partner Team. All over the world, litigation finance is growing rapidly, and such growth brings increasing sophistication. For many years, funders typically invested in one case at a time, with each investment being independent of others. Now funders are investing in a range of cases from a single law firm or a single business enterprise. This is making litigation finance more of an instrument for risk management than a one-off response to a crisis. Funders from many different companies all report that the market for litigation finance is moving away from single-case funding. To a certain degree, this trend is the product of an increase in the number of companies offering funding. As more companies compete to provide financing, market forces are driving fees down, and funders are looking for ways to decrease their own risk so that it can make economic sense for them to charge lower fees. When funders invest in a portfolio of cases, they can diminish their risk of losing their investment and can therefore charge lower rates. Corporate clients often have large portfolios of litigation, and funders are working more often with such clients. This brings risk management benefits to both the funders and the corporations. As noted above, the funders can charge lower fees when they have a chance at recovery in a range of cases. The corporations can also be more aggressive in pursuing their own claims when they do not have to bear the litigation costs alone. The increasing number of corporations seeking litigation finance means that there has been an increase in the amount of investment in antitrust litigation in the United States, the United Kingdom, and across Europe. Antitrust cases can be a particularly risky proposition for corporations because they are complex, involving many experts and extensive evidence, and they tend to last for years. Many of these case involve multiple jurisdictions, which adds an additional layer of complexity. This makes them a perfect opportunity for litigation finance. The growth of litigation finance is also improving the understanding of the true nature of the litigation finance business. As corporations realize how litigation finance can be an effective instrument for spreading and diminishing their own risk, they realize that funders are involved in the same kind of effort to manage risk. This helps diminish the idea that funders are profiteers who exploit litigants; and it helps spread the truth about litigation finance: that it is an invaluable financial instrument that uses capital to promote better results and fewer losses in litigation. This entry was posted in Litigation Finance and tagged commercial litigation, legal reform, litigation costs, Litigation Finance, portfolio financing, third-party funding on October 18, 2017 by TownCenter Partner Team. One of the fastest growing areas of litigation generally is antitrust. For a variety of reasons, antitrust cases are particularly well suited for litigation financing. Consequently, the growth in antitrust cases provides great opportunities for litigation funders as well. Litigation to prevent anti-competitive or monopolistic conduct is commonplace wherever there are large and sophisticated markets, including the United States, the European Union, and throughout Asia, among other places. 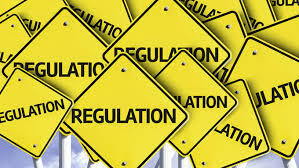 Any allegation of anti-competitive conduct can be difficult and time-consuming to prove. In most cases, such proof comes from extensive analysis of a variety of economic phenomena and complex expert opinion. 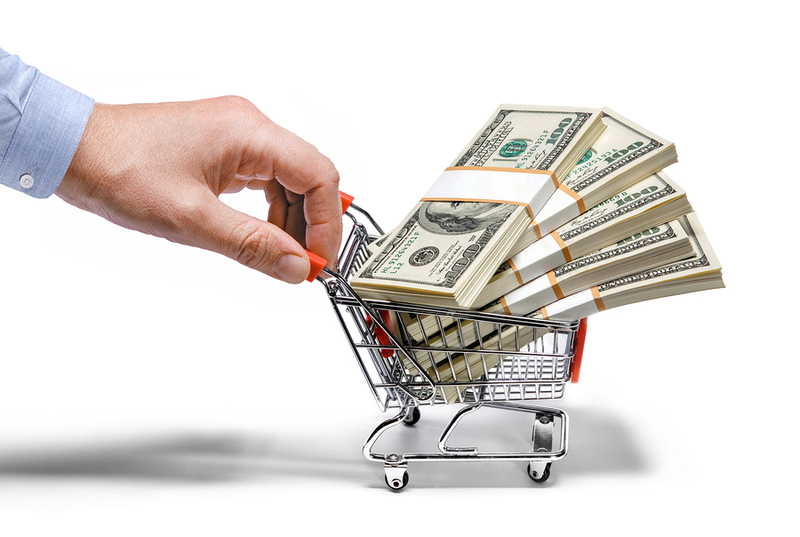 Damages claims in antitrust cases are routinely for tens or hundreds of millions of dollars. Quite often, for the companies alleging competitive injury, the outcome of an antitrust case can determine its survival. With such high stakes, companies are willing to pursue it, but they often have trouble bearing the very high costs. Of course this is where litigation finance comes in. For companies with an antitrust claim, litigation finance can be a way to spread risk and to help carry the economic burdens of cases that are very costly to litigation. By the same token, antitrust can be a very attractive field for funders, for a variety of reasons: the parties in antitrust cases are almost always sophisticated enterprises who are familiar with complex litigation and prepared to do what is necessary to win; the attorneys involved are equally sophisticated and well-prepared for the challenges of the case; and the defendants are usually creditworthy and willing to reach in economically rational settlements. Antitrust is one area that demonstrates how litigation finance can help society and the economy. 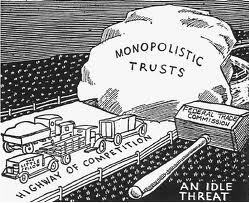 Antitrust law is an instrument to assure that markets operate fairly and efficiently. But if antitrust cases are too expensive to litigation, some companies will get away with anti-competitive practices that harm the economy and consumers. When litigation finance permits parties to bring meritorious antitrust claims, everyone benefits. This entry was posted in Litigation Finance and tagged antitrust, commercial litigation, competition cases, legal reform, litigation costs, Litigation Finance, third-party funding on July 19, 2017 by TownCenter Partner Team. 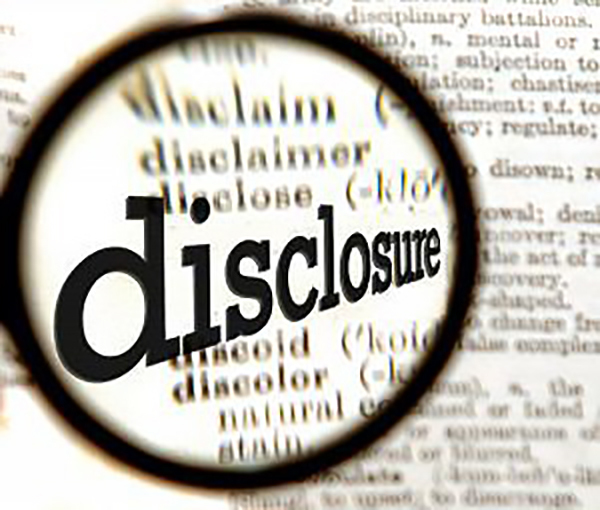 You might expect that a litigation financing agreement is something to be kept confidential. Indeed, many parties who have received litigation financing aggressively resist any attempts by opponents to discover if such financing even exists. But, in a recent case, there was no secret about one party’s need for litigation financing – and the case was even stayed so that party could find new financing. This accommodation of litigation financing is a sign that litigation financing is moving into the mainstream. The case is a dispute between Telesocial, Inc., which makes apps, and Orange, which was formerly known as France Telecom. It is pending in the United States District Court for the Northern District of California, before the Hon. James Donato. Telesocial developed a software application known as “Call Friends,” which allowed users to place phone calls through Facebook and other social networks. In 2012, Telesocial began discussing a partnership with Orange in 2012, and, during the negotiations, Telesocial provided Orange with a some limited access to its systems. The negotiations eventually fell through, and a few months later, Orange debuted a new app, which it named “Party Call” and which had many of the same features that Telesocial had developed for Call Friends. Telesocial alleges that Orange used its temporary and limited access to hack into Telesocial’s servers and copy its technology. Telesocial also alleges that this hacking destroyed its business and destroyed its value. Orange denies any hacking, claiming that its employees used Facebook to gain access to Call Friends and learn about its features legitimately. To be sure, this is just one case. But the court’s accommodation of litigation financing is a sign that litigation finance is becoming an inescapable part of the judicial system. This entry was posted in Litigation Finance and tagged civil procedure, commercial litigation, expert witness, legal reform, litigation costs, Litigation Finance, third-party funding on June 2, 2017 by TownCenter Partner Team. If you aren’t convinced already about how litigation finance can level the litigation playing field, listen to the founding partner of Bickel and Brewer, a leading New York litigation firm. In a recent opinion essay in Crain’s New York Business, William A. Brewer III persuasively argues for the merits of litigation financing. In particular, he explains how litigation financing can make the judicial system both more efficient and more fair. Brewer begins with the observation that, when a David-sized plaintiff takes on a Goliath-sized corporation, the plaintiff’s biggest obstacle is the time-consuming and expensive litigation process. Wealthy clients and the large law firms that serve them have a well-established playbook, which includes tactics such as superfluous motions and burdensome discovery practice. These tactics are intended as a means of drawing out the litigation process, so that litigation costs, not the merits, become the decisive factor. Although litigation finance enables smaller plaintiffs and boutique firms to surmount the obstacles put in their path by large corporations and defense counsel, doing so is costly and wasteful for both parties. As traditional defense firms who have long employed these tactics realize that litigation finance renders such tactics obsolete, the superfluous motions and discovery games will stop. The desired result is pure, unaltered, merits-based litigation—the way it was always intended to be. This effect will become more widespread as access to litigation finance continues to expand. Brewer notes that, according to a recent survey, 28% of litigation attorneys used litigation financing in 2016, up from just 7% in 2013. If this trend continues, defense firms will have to start re-writing their playbooks. Brewer is also encouraged about the growth of litigation finance because it can be such a good way to invest capital. As he explains, more and more capital will flow to litigation finance: “[f]undraising by asset managers for the litigation asset class has gained popularity thanks to attractive fundamentals. For one, the success of litigation finance is not correlated with the capital markets, meaning it is a way to make money when the markets are going down. The industry also has sophisticated participants and offers the promise of outsize returns.” And as more capital becomes available, financing arrangements can become more sophisticated and more tailored to the needs of particular plaintiffs. This entry was posted in Litigation Finance and tagged boutique law firms, commercial litigation, legal reform, litigation costs, Litigation Finance, middle market, third-party funding on May 24, 2017 by TownCenter Partner Team. When people talk about litigation finance, they often talk about the funding provided at the extreme ends of the market. At one end are the small-scale investments in the claims of individual plaintiffs, often in personal injury cases. At the other end are large commercial cases, where corporations receive seven-figure investments in cases where the amount at stake is in the tens of millions, or more. But what about the middle? In particular, what about commercial cases where a litigant needs a an investment of about $100,000 to get a recovery of about $1 million? That’s the question asked by Michael McDonald, a leading analyst of the economics of litigation finance. In a recent article, he notes that there is a large segment of the business litigation market that is currently unserved. In this “middle market,” there are many cases where damages range between $500,000 and a few million dollars, there are great opportunities for litigation financing. Having heard that many funding companies think that middle market cases don’t provide good returns on investment, McDonald conducted a survey to find out if that assumption was true. He looked at 100 plaintiffs and defendants, examining the value provided by litigation funding in the middle market. He discovered that middle market cases can reliably provide a meaningful return for funding companies, even if that return is relatively modest. The key to finding those returns is in finding the right ration between the funding company’s internal costs and the external costs of the funding. On the whole, the middle market in litigation finance may seem challenging for funders, but the reality is that if a bank can evaluate and underwrite a business loan or home loan with a net interest margin of 3-5%, then litigation funders should surely be able to do the same thing when dealing with an analogous margin of 6-10% or more. Higher implicit interest rates may be needed in the middle market than in larger claims, but this is a market that can be lucrative, and survey results suggest there is definitely a demand and a need for the financing. McDonald also notes that there aren’t many firms serving this market “but not many. The one I am most familiar with is TownCenter Partners.” TCP’s commitment to funding middle market cases may be unique, but it is grounded in sound economics. This entry was posted in Litigation Finance and tagged commercial litigation, legal reform, litigation costs, Litigation Finance, middle market, third-party funding on May 18, 2017 by TownCenter Partner Team.